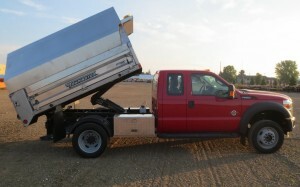 "Where Craftsmanship, Service, and Expertise means VALUE to you!" 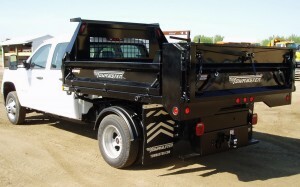 The features you want with the quality you expect, Towmaster Edge Series Contractor Bodies are durable and light-weight. 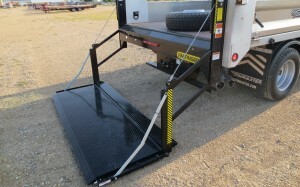 They feature an HARDOX 450 smooth steel floor, hinged drop-sides that drop a full 180-degrees, and reinforced tailgate. 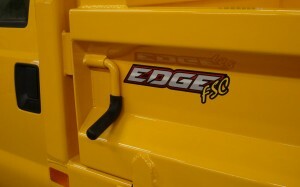 The EDGE Series Contractor Bodies are available in carbon steel or stainless steel configurations. 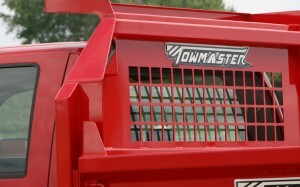 You can be sure that you'll get quality components and quality construction from Towmaster. 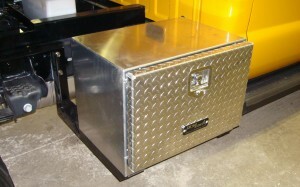 Fold-down Sides Carbon Steel box. 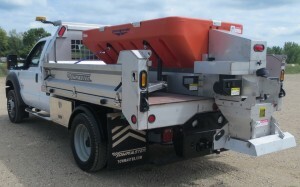 Available in 9’, 9′-6″, 11′ and 11’-6″ configurations. Fold-down Sides Stainless Steel box. 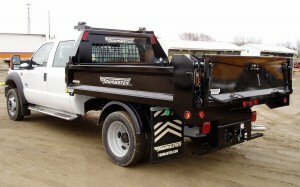 Available in 9’, 9′-6″, 11′ and 11’-6″ configurations. 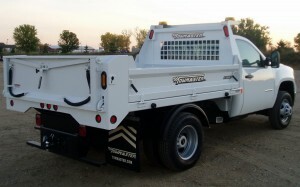 Front: 40" high, 10 ga steel construction, contoured to cab, reinforced tubular top rail, and includes a full-width slotted rear viewing window for increased visibility. 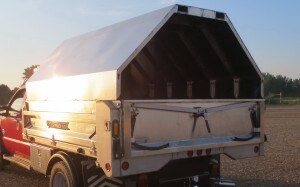 40" high, 10 ga stainless steel construction, contoured to cab, reinforced tubular top rail, and includes a full-width slotted rear viewing window for increased visibility. 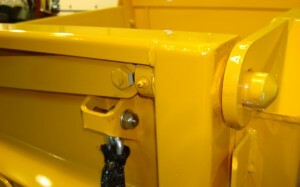 Gate: 21" high, 10 ga steel construction, formed & reinforced top edge, 1¼" diameter top and bottom hinge pins, 3/8' allow spreader chains, forged steel base latches, manual front release control, double over-center locks, and Eccentric lever top pin release. 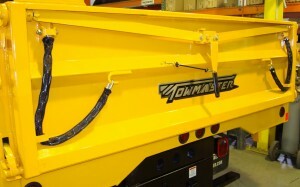 OPTIONAL: Dual Purpose 270°Swing-away design); metering chute. 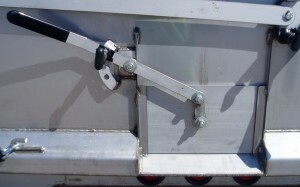 21" high, 10 ga stainless steel construction, formed & reinforced top edge, 1¼" diameter top and bottom hinge pins, 3/8' allow spreader chains, forged steel base latches, manual front release control, double over-center locks, and Eccentric lever top pin release. 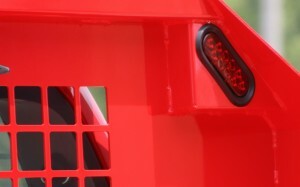 OPTIONAL: Dual Purpose 270°Swing-away design); metering chute. 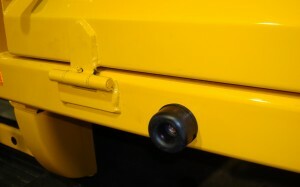 Floor: 3/16” HARDOX 450 smooth steel, one-piece construction, full width and length of body. 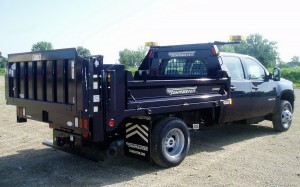 3/16” HARDOX 450 smooth steel, one-piece construction, full width and length of body. Under-Structure: C-6 structural CHANNEL longsills, gusseted to front and rear aprons (bolsters). 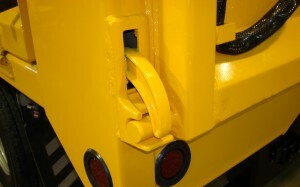 Crossmemberless (smooth bottom) design, with 4" x 2" tubular side rail perimeters, reinforced corner joints, and boxed gussets in center area. 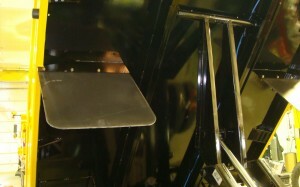 C-6 structural CHANNEL longsills, gusseted to front and rear aprons (bolsters). 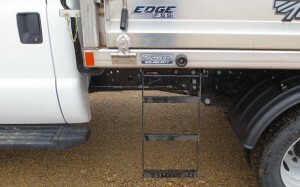 Crossmemberless (smooth bottom) design, with 4" x 2" tubular side rail perimeters, reinforced corner joints, and boxed gussets in center area. 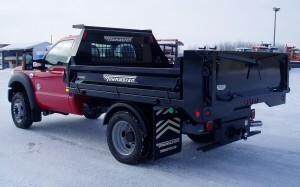 Rear Apron: Full depth and width of body, 7 ga A607-50 steel construction, provisions and mounts for OEM stop-tail-turn lights, along with provisions for rubber mounted clearance lights. 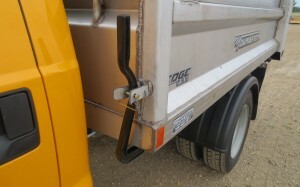 Full depth and width of body, 7 ga stainless steel construction, provisions and mounts for OEM stop-tail-turn lights, along with provisions for rubber mounted clearance lights. Lights: Meet FMVSS-108 standard requirements. Rubber grommet mounted LED clearance lights & Tri-light cluster mounted in rear apron, w/side marker lights mounted in rear corner posts. 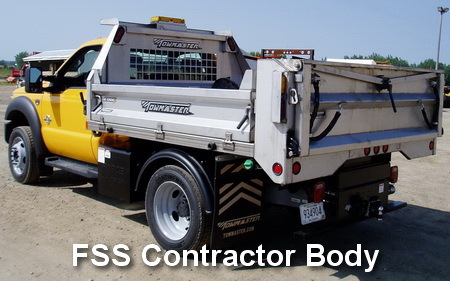 Meet FMVSS-108 standard requirements. Rubber grommet mounted LED clearance lights & Tri-light cluster mounted in rear apron, w/side marker lights mounted in rear corner posts. Prep/Paint: Exterior of body INDUSTRIALLY SHOTBLASTED and coated with primer. Underside Finish Painted Gloss Black. 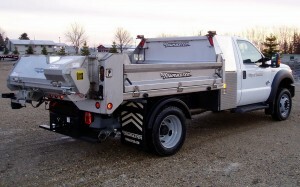 Exterior of body Finish painted to customer's choice, Polyurethane enamel standard. Exterior of body Acid Washed, Underside Shotblasted and Finish Painted Gloss Black. Exterior of body left in Stainless Steel Mill finish. 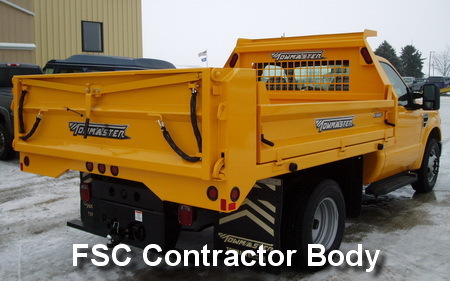 Here are some of the many contractor bodies we've built for our customers. We would be happy to quote one for you. 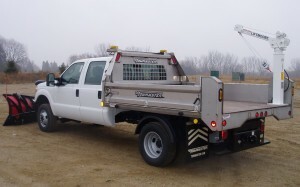 Many more options are available to customize a Contractor Body for you. Made in Minnesota. 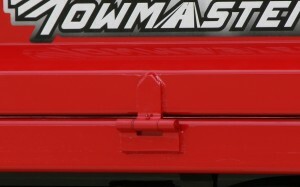 ©Monroe Towmaster, LLC.